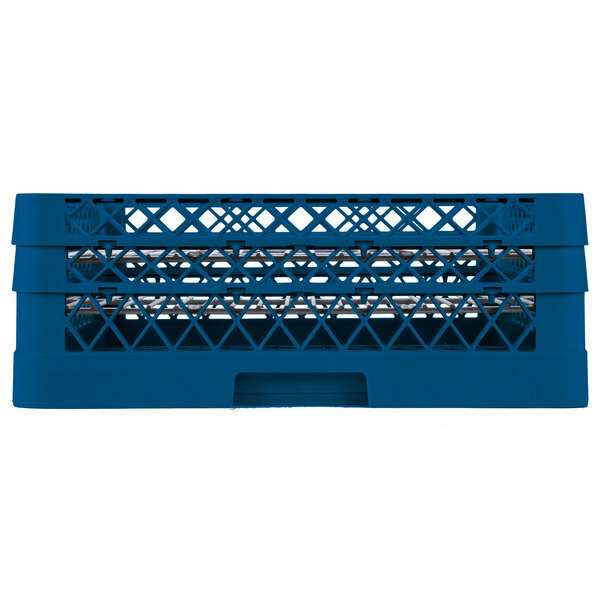 Holds up to 48 plates from 5" to 6" in size; maximum plate height 3/4"
With this Vollrath PM4806-2 royal blue Traex® plate rack, you can quickly clean bulk loads of plates to keep up with the demand of a busy restaurant! 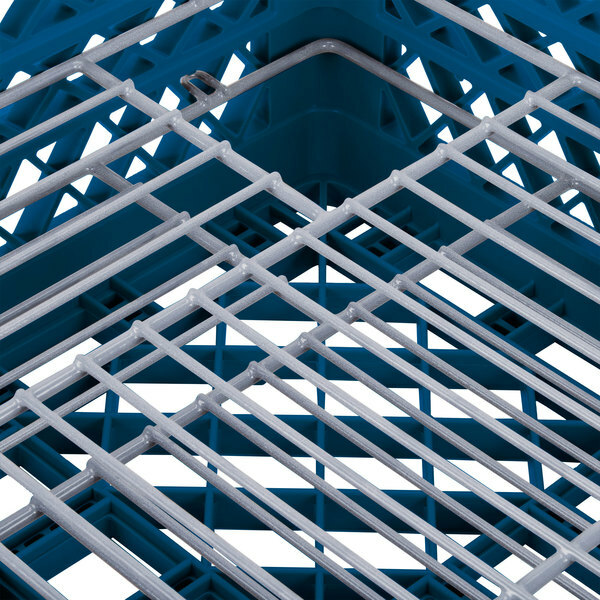 With 48 compartments for plates with diameters ranging from 5" to 6" and heights up to 3/4", this rack is perfect for washing, storing, and transporting china. 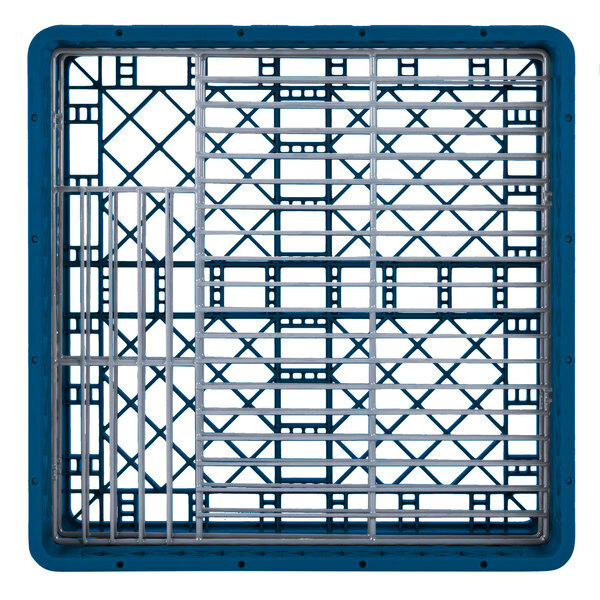 The evenly spaced compartments also prevent your plates from moving around during the wash cycle, limiting potential damage while ensuring cleaner china and faster drying times. 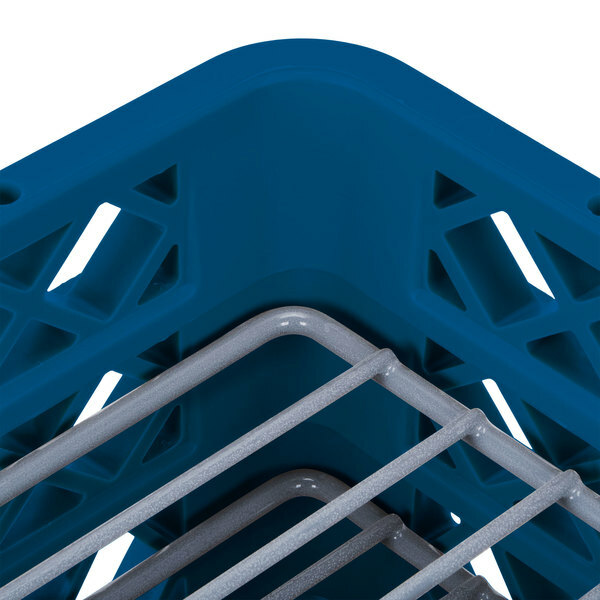 The Traex® Plate Crate is made of a durable, co-polymer plastic which combines with the powder-painted wire grates to make this rack tough enough to withstand repeated use, yet gentle enough to not chip or break your plates. 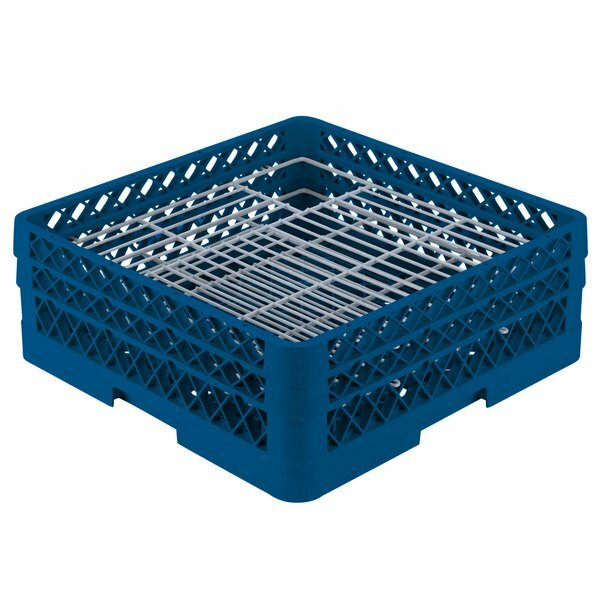 Complete with handles on all four sides, this rack is easy to transport even when full, making it ideal for caterers. 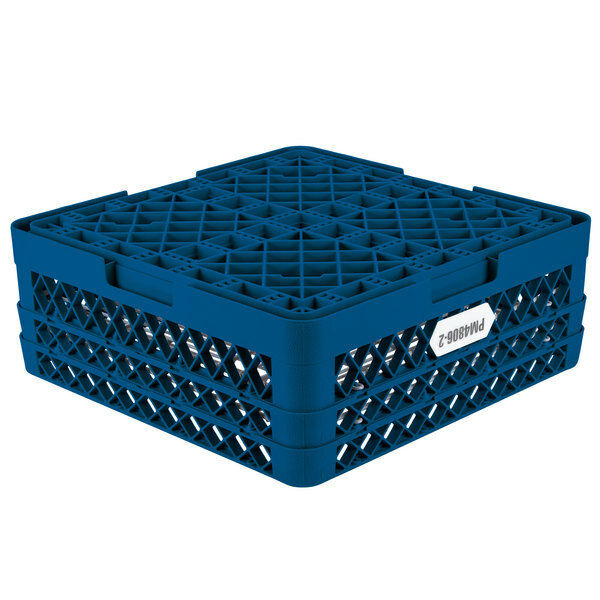 The design also allows you to stack them for easy, compact storage when they are not in use. Plus, it comes with 2 extenders to allow for large plates. Plate Diameter: 5" - 6"